"Cool and tasty - best of all easy! A definite winner." 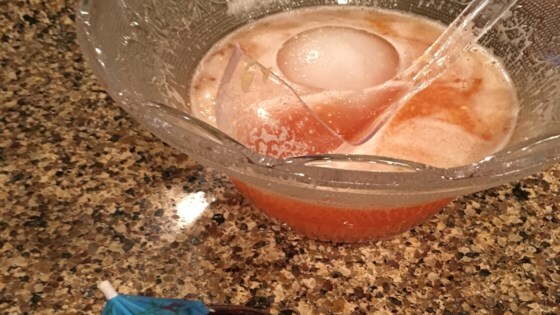 In a large punch bowl combine pineapple juice, sprite and drink mix. Stir, and serve over ice. Very yummy. I think the 4 oz package must be a typo. I used a .4 packet of raspberry drink mix and it came out really nice. As the other reviewer said, 4 oz is an awful lot.